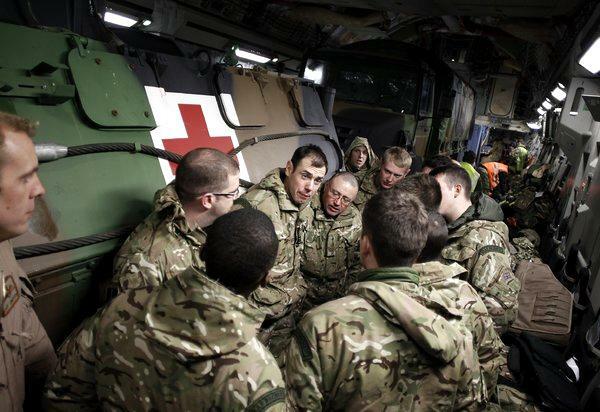 RAF Regiment gunners, aboard a RAF C-17ER, in front of a French VAB SAN (armoured ambulance variant). Credit: AFP. Royal Air Force (RAF) Regiment troops, possibly based out of Honington or Wittering, have been deployed to Bamako as a force protection (FP) element for RAF operations in support of the French intervention in Mali. France’s Opération Serval is being supported by two RAF C-17ER transport planes, operated by No. 99 Squadron from RAF Brize Norton. These aircraft are to ferry French armoured vehicles from the Évreux-Fauville Air Base in France, to Bamako.